Going to church can be an important tradition in your life. To make your visit special you can hire a town car, limousine or party bus service to take you to there on regular or special occasions. Or, you can also arrange to take a church trip with other members using our services. To hire a limousine or party bus rental service, there are several factors that you may need to consider. One of the most important factors is the reliability and reputation of the company that you are hiring. 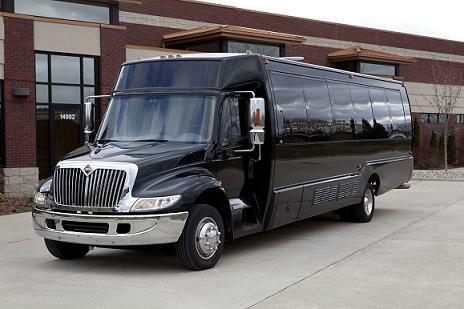 Raleigh Limousine and Party Bus Rentals is one of the most reliable and reputable companies that you can hire for your transportation needs. Our company specializes in providing high quality services to its clients through the very training we offer to our employees. We offer impeccable services that will provide you with a positive traveling experience for you and your church members. What's more is we provide affordable services at market competitive rates. Planning a church party outing can be an enriching experience. Our company can help you in making the church party truly memorable. Before the travel routes are decided, you may need to make a list of attendees that are willing to travel in the limo or party bus. If this is a collaborative party, then you can ask the other passengers to contribute to rental charges for the transportation. 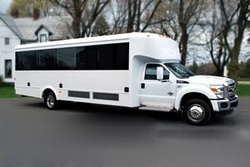 Getting the list of passengers makes it easier for our service team to discuss the type of limousine or party bus service that you may want for your church outing. Our company presents amenities and facilities that are included in the purchased package. The interior of the cars can also be decorated according to our customer’s preferences. We provide a safe service and our cars are licensed and insured. Our professional service team performs regular maintenance checks on the cars so that our clients enjoy a comfortable and relaxed journey to their de﻿stin﻿ation. Our limousines and party buses have leather interiors that give our guests a truly enjoyable traveling experience. There are other facilities like audio and video playlists that our company can arrange for the ride, as well as snack and beverage bars for all of your guests. There are many well-known churches in Raleigh that you can visit. Sacred Heart Cathedral and Crossroads Fellowship are a few of the popular churches in Raleigh. If you are considering visiting a new church with our rental car services, churches in Raleigh welcome new members, and will be more than happy to accommodate you. There are other churches in Durham and surrounding areas of Raleigh that you can attend. 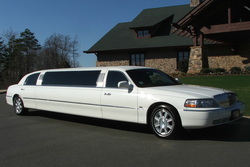 Our company provides transportation service to Raleigh, Durham, Chapel Hill, Apex and Wake Forrest. Our service team is well-aware of the routes to take to and from churches in Raleigh. We make detailed travel plans so that you may reach your destination at the appropriate time. Our chauffeurs have been well-trained to take alternate routes in case of heavy traffic or other delays. We recommend our clients to book an order with our company in advance so that transportation arrangements can be made accordingly; especially if you are booking a new mom stork limousine ride. If our clients have adjustments that they would like to have made on their itineraries, our service team will accommodate them easily. take your whole church group out in comfort & style - call & book a bus or limo for your next church group event!